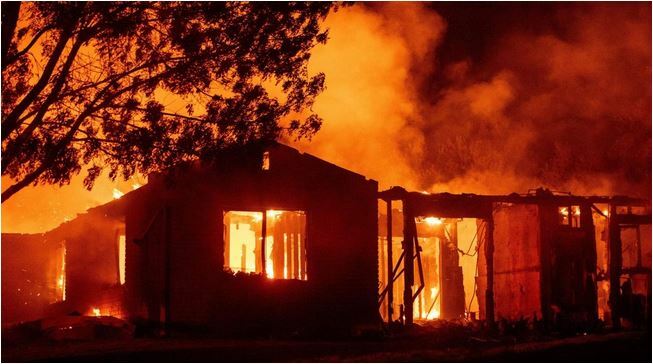 No fewer than 50 shops have been destroyed after Gboko Market in the Gboko Local Government Area of Benue State, was gutted by fire in the early hours of Monday. An eyewitness, Testimony Ackaudu, who said the fire started around 4am, added that it was caused by an electrical spark. Most of the affected shops were along the Onitsha line, TB line and other designated areas where foodstuffs were sold. The eyewitness said there was no firefighting station in Gboko town which he said worsened the situation. “Attempts by our youths to put out the fire proved abortive, as we could only manage to fetch water from a well. “It was a bad day for all traders who own shops in the market, as they wept uncontrollably at the sight of their goods being razed by the inferno,” Ackaudu said. The Chairman of Gboko Local Government Area, Becky Orpin who confirmed the incident, appealed to the traders to remain calm.